Photographers'​ agency representing : Peter Lindbergh, Ellen Von Unwerth, Miles Aldridge, Richard Bush, Francesco Carrozzini, Eric Guillemain, Carlotta Manaigo, Tom Munro, Yelena Yemchuk. Artists & Talent Representative + Production · Casting · Creative · Advertising · Events. Since 1985. Worldwide. Apostrophe is a New York-based artist representative agency, with an office in Los Angeles and dedicated agents throughout the US. We connect top-tier artists with advertisers, corporations, brands, and other media outlets worldwide, creating compelling work across multiple platforms and disciplines. Our roster embraces innovative talent, including lifestyle, still life and food photographers, stylists, and creative artists. Together, we are a team of conceptual thinkers and practical strategists. Our team is adept at translating our clients’ and artists’ needs and goals into exceptional work, bringing each and every project to a successful outcome, all the while meeting and exceeding client expectations. Progressive in our thinking, we’re creative and industry trend-watchers, always seeking opportunities to elevate our talent, and our clients. We bring insight and integrity to all that we do, guiding our clients and artists in the evolving global marketplace. We believe it’s our role to be trusted partners to our artists and clients throughout the lifespan of every project. We look forward to working with you soon. Art + Commerce was founded in the early 1980s by partners Anne Kennedy, Jim Moffat and Leslie Sweeney. Their concept was simple yet surprisingly unprecedented to create an agency capable of supporting image makers within the realms of both art and commerce at a time when there was renewed interest by artists in working for the printed page. The agency has grown to represent photographers, stylists, creative directors, hair and makeup artists and an illustrator for assignment, special projects, and image licensing. Additionally, Art + Commerce Production offers casting, location and specialized services. Art + Commerce offers long term guidance and support to our artists and helps to build their archives of published work and digital files for perpetuity. We offer support and development for our artists exhibitions and publications, and for educational projects that extend the discussion of image making in general. Art + Commerce represents a diverse group of image makers, from emerging artists to the most established, preeminent talents in their fields. Projects include editorial and advertising assignments as well as longer-term independent projects in film, photography and other media. To see selected portfolios click here. Art + Commerce is committed to extending the cultural currency of new and historically significant photographs. The Image Archive licenses photographs by many of the photographers currently represented for assignment, as well as artists estates such as Robert Mapplethorpe, Erwin Blumenfeld and Guy Bourdin. To search or browse the Image Archive click here. Art Partner is the leading artists management and creative content agency with offices in New York, London and Paris. In addition to artist management and representation, art partner provides a full range of services to its artists and clients including licensing, fine art print sales and the development and promotion of books and exhibitions. 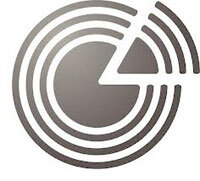 The agency also offers full production services for print and film. 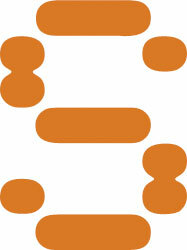 Founded in 1992 art partner now works on over 1000 projects a year including both editorial and advertising. Bernstein & Andriulli is a premier creative artist management agency and media consultancy. We represent photographers, illustrators, stylists, hair and makeup artists, interactive artists and producers. From cultural icons to burgeoning hot new talent, we scout the globe bringing fresh solutions to the creative community. Our agency works across the traditional and new media platforms, mindful of the challenges brands face today. Our select collective of strategically insightful creative thinkers are renowned for pushing ideas to extremes and unlocking our imaginations. BMG Models & Talent is a boutique full service agency representing women and men of all ages for commercial print, high fashion, runway, and on-camera work. We have office locations in New York, Chicago, Los Angeles, Orlando, Miami and Atlanta, as well as models traveling across the world working with agencies in London, Paris, Milan, and Asia. Twenty years ago BRANSCH was founded by Susanne Bransch in Düsseldorf, Germany. Having previously worked as an Account Executive, Producer and Art Buyer in the advertising industry, she held the vision of an agency that represented young photographic talent beyond regional borders – a truly innovative approach to the German market. After its creation, it took little time before BRANSCH photographers were successfully working for leading advertising agencies, blue chip companies and popular print magazines, both nationally and internationally. After moving to Hamburg, Germany, in 1998, BRANSCH increasingly expanded its presence on the global stage, officially arriving in the United States in 1999 with the establishment of a New York City office. Today BRANSCH represents 30 international photographers. Because of their individual and unique modes of artistic expression blended with the utmost technical skill, BRANSCH photographers and illustrators are the first choice of many clients when it comes to brand and image campaigns and editorial projects around the globe. Cake-factory doesn't have a house style. We have standards. We are proud to represent the finest artists in their fields. From concept to delivery, we create maximum impact images with no drama. Creative Exchange Agency (CXA), founded in 1994 by Steven Pranica, is an innovative artist management and production company, with a diverse roster of talent, recognized for its progressive cross-cultural perspective. The agency utilizes its decade of experience in photography, fine art, commercials, music and film production to manage talent and ensure their artistic development and marketing in the editorial, advertising, fine art, film and emerging media arenas. CXA has successfully guided the careers of many photographers into the fine art arena, including book publications, gallery and museum exhibitions, and corporate sponsored special projects. With offices in New York, Paris, Tokyo and Shanghai, and its thriving roster of photographers, fashion editors and art directors, Creative Exchange Agency is at the forefront in uniting art, culture and commerce. With its global presence, CXA has produced both iconic and acclaimed advertising campaigns, international exhibitions, commercials, and fine art book publications. The company's long standing direct relationships with artists, editorial publications, advertising agencies, fashion houses, record labels, movie studios and Fortune 500 companies have elevated it to one of the most respected in the business. Creative Management @ MC2 provides a full-scale artist management company in New York and Miami. Creative Management is one of Miami and New Yorks leading photographers’ agencies, representing photographers, stylists and hair and make-up artists. The company works in the New York and Miami markets, as well as further a field, to correctly manage artists so they can access the next level in fashion and advertising. 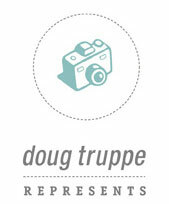 Doug Truppe Represents is a creative talent agency specialized in the representation, marketing, and management of award-winning commercial Photographers, Directors and CGI Artists domestically and internationally in a variety of categories. Doug's mission is that we provide the best services to ensure our client's goals are achieved with the greatest success. We devote a high level of attention to every project and handle all aspects of negotiations, management and production services. It is our commitment to excellence that has culminated in many years of service to our loyal clients. Elite New York City was founded in 1977 by founder, John Casablancas. Elite redefined the industry by giving birth to what we now know as The Supermodel. Elite continues to be at the forefront of fashion by establishing the careers of our talents on a holistic level -- and setting trends within the industry. Elite has represented talents, such as Linda, Naomi, and Cindy to Gisele, Uma, and Iman to Janice, Heidi, and Cameron to Tyra, Stephanie, and Amber. Elite's belief in the importance of empowering our talents and promoting diversity is driving the industry towards inclusion. Currently, Elite operates offices in New York, Los Angeles, Miami, and Toronto, alongside a trusted network of independent agencies around the world. As Elite moves towards a new chapter in our iconic legacy, we invite you to help define what is to come with us. Ford Models was started in 1946 by Eileen and Gerard W. "Jerry" Ford. Ford was the first company to advance their models' money-owed by jobs that had been completed but not yet paid. The Ford family had the tradition of allowing teenage models who originated far from New York City to stay in their home. The company was the pre-eminent New York agency until John Casablancas of Elite Model Management opened up in the city, leading to the "model wars" of the 1980s. Ford, like many of the original agencies of the 1970s, now has to compete with a broad field of contenders, such as Women, IMG and DNA. The agency has represented a diverse list of models and celebrities. In 1980, the company established the Ford Supermodel of the World Contest, which attracted more than 60,000 hopefuls annually from around the world. Today, the contest lives on in the form of the annual V/VMan Ford Model Search run in conjunction with the two Visionaire publications. In 1995, Mark Getty and Jonathan Klein founded Getty Images to bring the fragmented stock photography business into the digital age. And that's exactly what they did. We were the first company to license imagery online - and have continued to drive the industry forward with breakthrough licensing models, digital media management tools and a comprehensive offering of creative and editorial imagery, microstock, footage and music. Today's digital media offers us powerful and seemingly endless ways to create, communicate and connect. And while quick online access to images, footage and music may be second nature to us now, just a decade ago it was almost unimaginable. As a leading creator and distributor of still imagery, footage, music and other premium content, our goal is to inspire communicators - and give them the tools to create inspiring work of their own. We offer the industry's best and broadest collections of imagery and footage - including award-winning news, sport and entertainment content, plus rare and contemporary archival imagery. Our music collection provides a wide range of pre-cleared tracks from independent artists, chart-topping acts and popular soundtracks. Hamburg Kennedy Photographs (HKP) is the preeminent private art advisory service that emphasizes a highly-individualized, client-oriented approach to art investment. Holding the ideals of trust and friendship, as well as 30 years of industry acumen in the Contemporary and Photographic arts, our team of specialists cater to seasoned collectors and interested novices alike, with both market-savvy advice and personalized, confidential consultation. In 2001, with a degree in studio art, Jennifer Hutz moved from North Carolina to New York City with the unusual dream of helping others make their dreams come true. She began her career as an intern for one of the most famous photographers in the world and soon was immediately enamored with the fast paced and selective world of high-end photography. After a decade in production, Jennifer still approaches each project with intern-like enthusiasm. Moving on from producer to agent, she is a fierce advocate for both her artists and her clients, pairing creative and professional talent with the industries and people who need them. Through kindness, generosity of spirit, a commitment to excellence and an insane attention to detail, she and her artists strive to have each project end with not only great final art, but, just as importantly, an amazing experience for everyone. The photographers Robert Capa, David "Chim" Seymour, Henri Cartier-Bresson, George Rodger and William Vandivert were the founding members (Vice Presidents) of Magnum in 1947, having responded with various degrees of enthusiasm to an idea of Capa's. Seymour, Cartier-Bresson and Rodger were all absent from the meeting at which it was founded. (In response to a letter telling him that he was now a member, Rodger wrote back from Cyprus to say that Magnum seemed a good idea but that "It all sounded too halcyon to be true" when Capa had told him of it and that "I rather dismissed the whole thing from my mind".) Rita Vandivert was the first President. (Magnum's own short history of itself deletes the Vandiverts from the record.) Rodger would cover Africa and the Middle East, Cartier-Bresson would cover the area east of that, Seymour and Vandivert would cover Europe and the United States respectively, and Capa would be free to go anywhere. Magnum is one of the first photographic cooperatives, owned and administered entirely by members. The staff serve a support role for the photographers who retain all copyrights to their own work. The Magnum cooperative has included photojournalists from across the world and has covered many historical events of the 20th century. The cooperative's archive includes photographs depicting family life, drugs, religion, war, poverty, famine, crime, government and celebrities. Magnum In Motion is the multimedia offshoot of Magnum Photos, based in New York City. The name "Magnum" was chosen because the founding members always drank a bottle of champagne during the first meetings (cp. magnum Wine bottle). MC2 Model Management was formed in 2004 in NY, Miami, and Tel Aviv. The concept has always been bringing realistic management in an exclusive environment to enhance the opportunities of those represented. 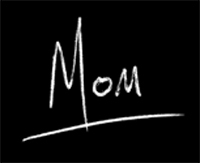 MOM is a boutique production company that combines a multidisciplinary talent roster with all the tools and resources needed to tackle the most challenging integrated campaigns. MOM was created in 2014 by merging Moskito and 2M2's activities. We have decades of experience in the production of film, video, photography and visual effects projects as well as experiential events. We nurture all of our clients’ projects, no matter how big or small, to ensure a finished product - from tv, online, print and outdoor campaigns to stunts, installations and events - that will make an impact and exceed expectations. MOM also nurtures its talent. We work hard to create a supportive environment for our select roster of directors, photographers and designers that helps them push their creative, artistic and technical boundaries. This philosophy also nourishes our wide network of ingenious partners, collaborators and craftspeople, who consistently deliver results that ensure the success of each of our projects. MOM is the first company to assemble such a diverse roster of multidisciplinary artists under the same roof. All under MOM’s watchful eye. NEXT Management is the leading global fashion management agency, connecting top talent in fashion and entertainment with prominent international brands. NEXT’s offices are located in New York, London, Paris, Milan, Los Angeles and Miami. Founded by Faith Kates & Joel Wilkenfeld, NEXT Management is known for discovering and propelling the world’s most recognisable models to stardom. By managing fashion careers in the same vein as that of any other entertainer, NEXT has forged personal brands for our roster of talent, in turn building dynamic and long-lasting careers. 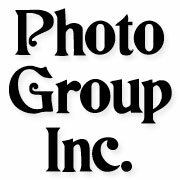 Photogroup Inc. represents and manages photographers nationally. The agency also provides studio rentals for still and motion productions, event rentals and production services. Polaris Images represents a global network of photographers and distributes media content to editorial and corporate clients in over 30 countries. Created in 2002 and based in New York, Polaris has built a worldwide reputation in the editorial photography industry. We are recognized today as a major independent photo agency, dedicated to excellence and quality service to media professionals. Polaris has also developed a successful corporate division servicing American and foreign companies. The agency's library offers a constantly expanding collection of still and moving images in the fields of news, politics, entertainment, business and other topics of interest that are published by magazines, newspapers, books, as well as used on television, on the Internet and in documentary films. Redux Pictures is an independent commercial and editorial photo agency based in New York City with photographers located around the world. We opened our doors in 2003 and quickly emerged as an industry leader, receiving many major awards, including World Press, Overseas Press Club, American Photography, PDN, and Communication Arts. Redux takes pride in being a strong advocate for the power of modern photography and the creative individual's ability to effect change. Redux artists have photographed portraits of world leaders, CEOs, politicians, athletes and celebrities. They have documented everything from social issues such as healthcare, immigration, and poverty, to global issues such as the economy, the environment, and war. In addition, our extensive travel, food, and lifestyle photography showcases Redux as an Industry leader. Our regular editorial clients include Afar, Forbes, Fortune, ESPN, The New York Times Magazine, Esquire, GQ, GEO, Time, Newsweek, The New Yorker, Reader’s Digest, Travel & Leisure, and many more. Commercial shoots include contemporary annual reports for Goldman Sachs, USAA, and ad campaigns for PNC Bank, Siemens and Zappos. Along with our network of partner agencies around the world, Redux continues to grow and offers complete production and multimedia services for clients. Whether we are serving broadcasters, publishers, brands, agencies, or direct to consumers, Reuters provides award-winning coverage of the day’s most important topics, including: business, finance, politics, sports, entertainment, technology, health, environment, and much more. See Management is a premier global talent management and marketing company focused on the worlds of fashion, beauty, entertainment and art. Founded by Anna Casagrande and John Shegda in New York City in 2002, See Management guides the careers of art directors, photographers, set designers, prop stylists, fashion stylists, groomers, hair stylists, makeup artists, and manicurists. Our stable is capable of providing their skills for everything from editorial and advertising work to brand consultation and product development. 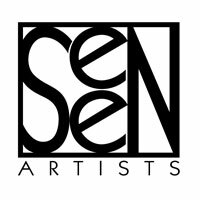 Seen Artists, a boutique agency, represents the new generation of photographers & directors in the fashion, beauty and entertainment industry. Jackie Baes, founder of Seen Artists, has a keen eye for finding and introducing talent to the industry resulting in successful careers. By maintaining a select roster of photographers, Seen Artists is able to maintain the highest degree of professionalism alongside its commitment to artistic sensitivity that cultivates an agent-to-customer relationship based on detailed servicing. Shannon Associates is the premier agency in the fields of illustration, animation, photography and various areas of the visual arts. We have been serving the needs of creative professionals in publishing, advertising, entertainment, design, technology, digital and print media for many years. We have the privilege to represent the most talented group of individuals, honored with every coveted award available in the industry. 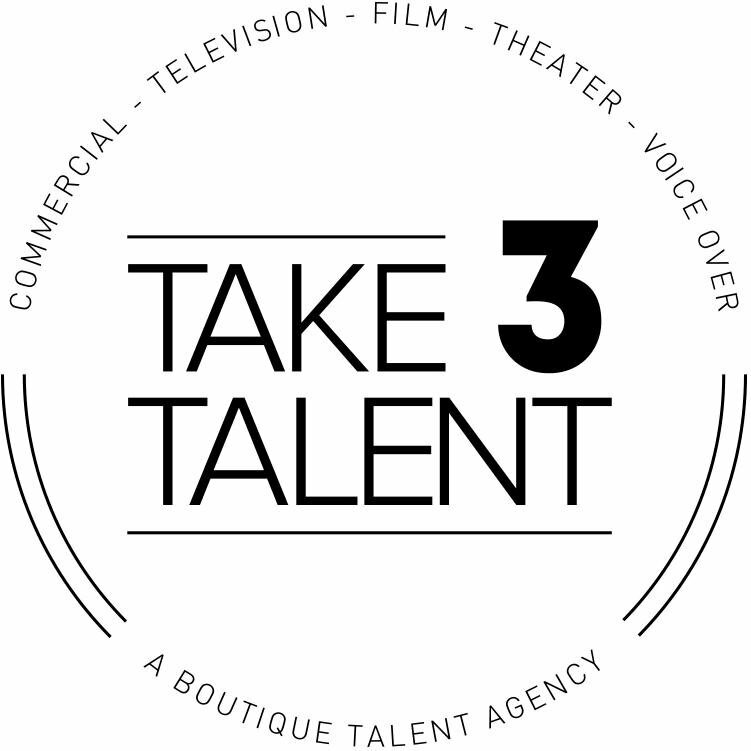 Over the last decade, Take 3 Talent has established itself as one of the leading diversified talent agencies in New York City. We selectively represent children, teens, and adults for television, film, theater, commercial, voice-over, print, hosting, comedy, and branding. As a franchised agency (SAG-AFTRA, AEA) with over 25 years combined experience in the business, our agents have developed a hard-earned reputation for their ongoing professionalism, dedication and – most importantly – the gift for discovering and nurturing quality talent. Take 3 Talent is exclusive to ensure our talent receives personalized attention and professional service. We offer our clients managerial guidance and work hard to build a solid foundation for a lifelong career of success. 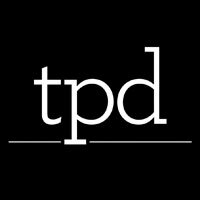 TPD is an artist management and production agency with offices in London and New York. We represent a diverse roster of photographers, set designers and one exceptional illustrator for high-end advertising and editorial clients. With a focus on cultivating unique relationships, theCollectiveShift is a creative agency advising and challenging how artists and brands collaborate through varied disciplines and strategies. Trunk Archive is a full service licensing agency representing the most engaging and sought after image makers. Providing a unique, intelligent and forward-thinking alternative to the traditional resources for existing imagery, the agency also serves as a creative partner by offering complimentary image research and visual strategy consultation. With an extensive international network and partnerships across the entertainment, publishing and fashion industries, trunk archive is uniquely positioned to offer clients unprecedented access and comprehensive support in all aspects of content distribution and licensing. 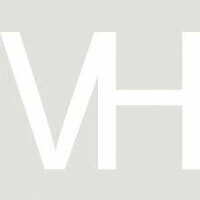 The archive contains hundreds of thousands of images covering fashion, celebrity, beauty, lifestyle, still life, design, architecture and travel. Thousands of new images are added to the archive each week as the agency continues its mission to make extraordinary and previously unseen art available to clients. New York-based Photo & Illustration Agency representing Martin Schoeller, Erik Almås, Kyle Alexander, Julia Fullerton-Batten, Mike Piscitelli, Frédéric Lagrange, Anne Ulku, Mathieu Young, Ondrea Barbe, Floto+Warner, Mitch Jenkins, Eric Kiel, Tatiana Arocha, Kuli Kuli, Greg Williams, Gilles & Cecilie, Peter Lippmann, and Giles Revell. VII derives its name from the number of founding photo-journalists who, in September 2001, formed this collectively owned agency. Designed from the outset to be an efficient, technologically enabled distribution hub for some of the world's finest photojournalism, VII has been responsible for creating and relaying to the world many of the images that define the turbulent opening years of the 21st century. Alexandra Boulat, Ron Haviv, Gary Knight, Antonin Kratochvil, Christopher Morris, James Nachtwey and John Stanmeyer were joined in 2004 by Joachim Ladefoged. Marcus Bleasdale and Franco Pagetti joined in November 2007, Stephanie Sinclair became a member in 2009 and Ed Kashi joined in 2010. Together they document conflict - environmental, social and political, both violent and non-violent - to produce an unflinching record of the injustices created and experienced by people caught up in the events they describe. On September 9th 2001, VII announced its formation. On the following night, covering for the missed return flight of a colleague, James Nachtwey arrived at his Manhattan apartment close to the World Trade Center. The next morning, he photographed some of the most haunting pictures of the collapse of the towers, at the same time eloquently conveying the destruction of a way of life. While the stark realities of the battlefield loom large, VII turns its gaze with equal intensity to more subtle forms of conflict and documenting the changes and development of society and culture worldwide. But this is not merely artfully captured, neutral observation; nor is it the doctrinaire elaboration of a political or social position. Each photographer is inspired by an array of often very different motivations, and it is from this breadth of reference that the agency draws its originality and strength. What unites VII 's work is a sense that, in the act of communication at the very least, all is not lost; the seeds of hope and resolution inform even the darkest records of inhumanity; reparation is always possible; despair is never absolute. In addition to agency locations in New York, Los Angeles, and Miami, and licensees throughout the world, Wilhelmina Models maintains relationships with hundreds of local model management firms in order to find and develop the next generation of talent. Model scouting and development initiatives also extend into national model searches produced in concert with strategic media partners utilizing the latest in information and social technologies. A distinctive professionalism and integrity, which imbues all aspects of client relations, moreover has allowed Wilhelmina Models to remain a pioneer in the dynamic and ever-changing fashion and beauty industries for over 50 years.